Hollywood's 'Hooray': Hardly A Happy Hymn It's Oscar season, meaning that classic toe-tapper "Hooray for Hollywood" will soon be booming out of TV speakers everywhere. But the cheery cinema hymn has a more complicated compositional past, as NPR's special correspondent Susan Stamberg explains. 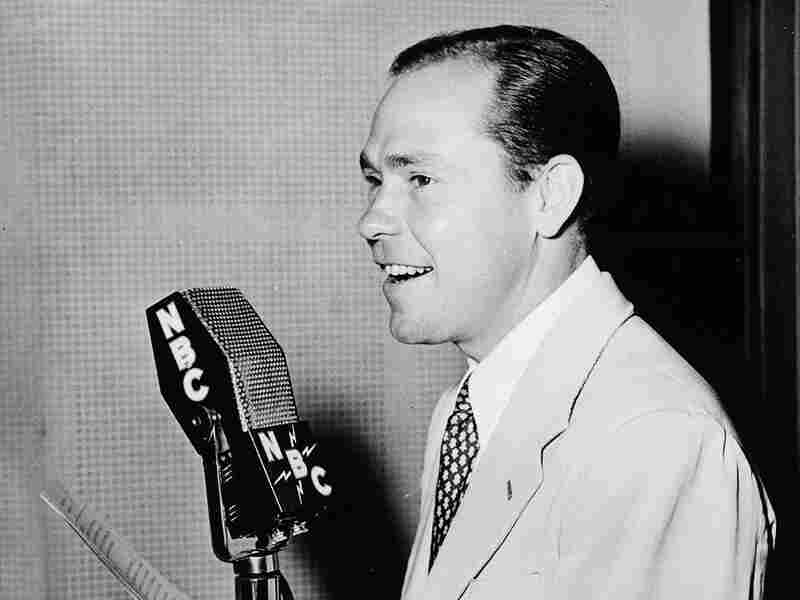 Lyricist Johnny Mercer wrote Hooray for Hollywood as an ironic tribute to the industry that had rejected his acting aspirations. When the Oscars are handed out later this month, the ceremony will most likely be punctuated by music that has pretty much come to stand for movies and Movieland. Ironically, the composer grew up in Detroit, and the lyricist came from Savannah, Ga. — yet together they wrote the quintessential Tinseltown anthem. "Hooray for Hollywood" was written for the Warner Brothers film Hollywood Hotel. It was a corny little "let's-go-to-Hollywood-and become-stars" movie from 1937, with some cute dialogue. The movie didn't do much, box office-wise, but that song made it big. (Although it took awhile). The Warner Brothers put it in a few cartoons, but not until the 1950s, when the Oscar ceremonies nabbed it, did it really take off. Richard Whiting's music and Johnny Mercer's lyrics moved from the silver screen into the stratosphere. "I saw a piece of paper that had the list of material that Whiting and Mercer had to write for this movie," says singer Michael Feinstein, host of NPR's Song Travels. "It was a factory, and they had to churn out these things. There was a deadline, and this was just one of many things they had to supply. "I'm sure they sat there thinking, 'OK, this is the opening number. We've got Benny Goodman and his band to perform it, so we have to come up with something that is rousing but will be great, performed by a big band.' And he wrote something that is kind of a march, but it also has a swing to it. And because he does all these little twists and turns with the melody — it is rather complex, but it's easy to sing." Composer Richard Whiting arrived in Hollywood in 1919, scored more than a dozen films, and was known as a go-to guy who could write any kind of song. Lyricist Johnny Mercer was a newcomer — he went West in 1934 with dreams of stardom and of being the next Bing Crosby. He and Whiting did several movies together. Mercer's biographer Philip Furia says the music always came first — and the music for this song posed problems for the lyricist. "So he wrote what was sometimes called a dummy lyric, where you just use nonsensible words to remember the melody," Furia says. "His lyric was, 'piece of ma-ter-ial,' 'piece of mat-er-ial' before he came up with, 'ho-oray for Hol-ly-wood.' "
Doris Day's somber 1958 version of "Hooray for Hollywood," which was included on an album of the same name, better reflects the song's creatively complicated lyrics. But Furia says it wasn't all hooray for Mercer in Hollywood. And these lyrics reflect it. "He was kind of bitter toward Hollywood, because he had flopped as an actor," Furia says. "And, so, when he wrote 'Hooray for Hollywood,' he was really making fun of a lot of things he didn't like about Hollywood. That's why he says, 'Hooray for Hollywood, Where you're terrific if you're even good.' He was, you know, put off by all the glitz and glamour and that it was all 'Tinseltown' fakery and you didn't really need to have a lot of talent. So, it's surprising that that song has become kind of the anthem of Hollywood, because it takes a very cynical, satirical view of the whole movie industry." It's probably the peppy, upbeat Whiting music that makes the song seem like such a salute — along with the repeated "Hoorays!" from Mercer). Despite the cynicism, it's a song about making it big, trying your luck. A song about dreams. And Mercer knew all about dreams. "Old Dream-Maker," he wrote in his lyric for the Oscar-winning "Moon River" — more than two decades after this complicated, sometimes-moody standard. 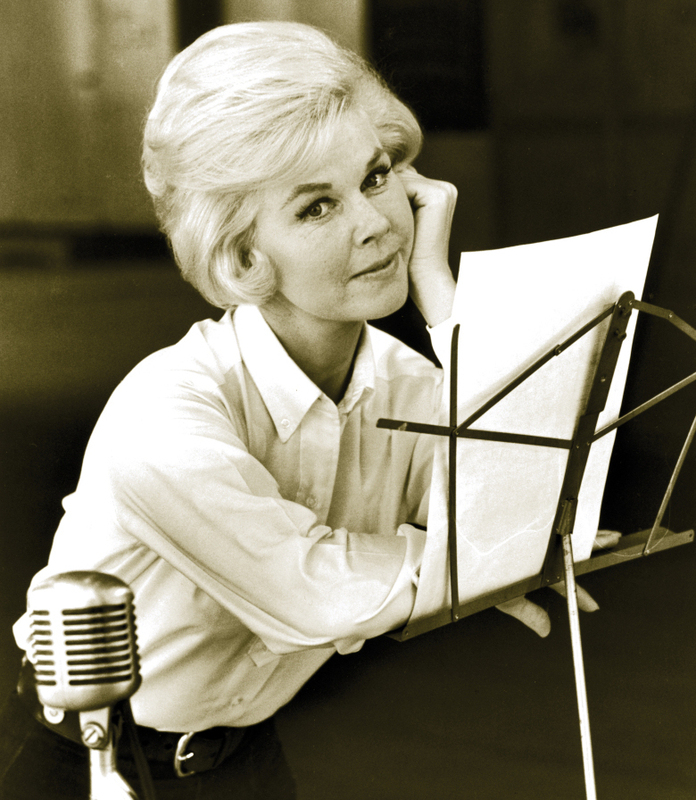 Listened to with close attention to the lyrics, Doris Day's slow, bluesy reading of the song comes closer to the dark-bright shadings of Movieland. The aspirations and realities of Hollywood mingle clearly at that historic intersection of Hollywood and Vine. On the Walk of Fame the other day, a legless man, his crutches lying on the ground, sat polishing one of the brass stars. And tourists from everywhere strolled along, reading the pavement, dreaming their own dreams. "The Boulevard of Broken Dreams" is what some call Hollywood Boulevard. But the dreamers keep coming.